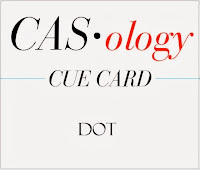 It is time for a new Cue Card at CASology! 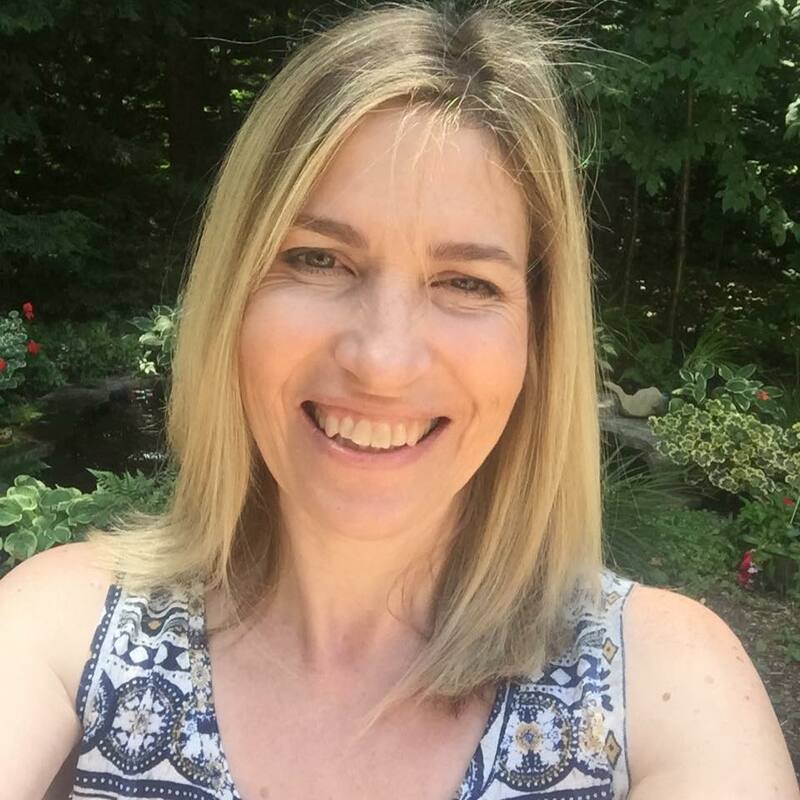 One of the most wonderful things about blogging is the ability to learn from others. Especially when it comes to the crafting community. 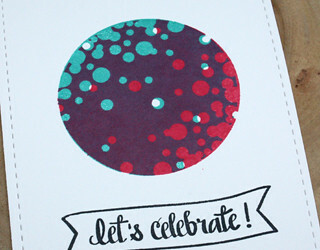 Last year Chari Moss used this stamp to do the technique I used today to create and multicoloured dot using neon inks using the exact same image. I bookmarked this technique and used it for my card today, I used two Stampin' Up inks to achieve the look. It took a bit of practicing and of course the one I did right before this on my scrap cardstock was the one that turned out best! LOL Basically you stamp your image once in one colour and then stamp in the other colour right over top after doing a 180 degree turn. Neat and Tangled is our sponsor for this week, hope you come and play along! I can't wait to see what DOT means to you! 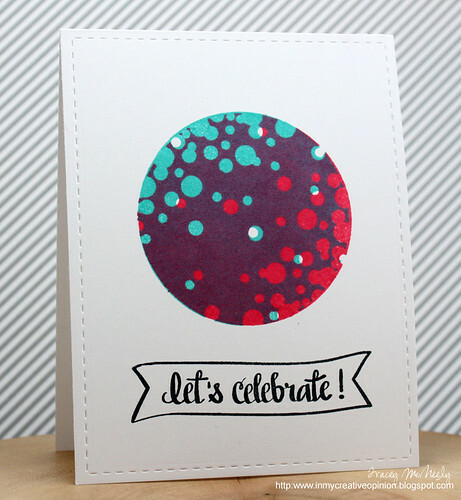 Such a clever idea to overlap this stamp to create the blended colours! Love it! That looks like a great technique Tracey and I love the crisp and clean design of your card. Great job! Cool card, Tracey! Love the colors you used! I remember when Chari did that and I loved it but never tried it. Thanks for the reminder! Love the colors you used - the purple they created is gorgeous! What a neat card, Tracey! Love the way you did the dots! You do CAS like no other! You make the most outstanding cards, Tracey, using what 'seems' to be a simple technique (in my hands - disaster guaranteed!). Love your blue dots and the rotated-180 red dots. Eye-catching and striking! love these rich colors! awesome stamping! Gorgeous focal point for your card. Those colours are magnificent! Tracey--this is so fabulous. You are going to have to tell me now to do this. What an incredible technique and fun collection of dots. how fun! I love this cool technique and I've been wanting this stamp set...I may have to splurge! This is a neat technique. The image looks like an alien planet (that's a good thing). Ahhh...this looks so amazing Tracey. What a clever technique! Gorgeous! I loveeeeeee all the dots!!! Terrific card Tracey, what a fun technique!! Tracey, now THAT is a cool technique! So glad you shared it with us...and I laughed when you said your last one on scrap was the best--happens to me all the time! This is such a cool card...I'm in love! WOW WEE love how you added the color.. totally fabulous.. This is some party on a card! I love your colors, so stinkin' festive! Cute card! Reminds me of spotlights! This is so clever Tracey...what a great technique! Holy smokes this is AMAZING~I love it Tracey! This is so much fun :) I love the colors you picked!! Wow, this is fantastic! I love the colors! Striking colors, my friend! Beautifully done! This turned out awesome! I remember Chari's card and your CASE certainly compliments it. What a fabulous card and wonderful technique, love the bold colors you used it worked out beautifully. This looks amazing! I need to see how you did this!